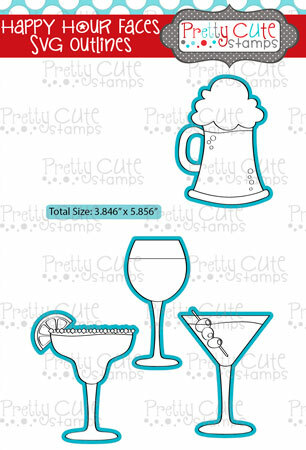 These SVG Outlines will make cutting out your Happy Hour Faces�stamped images a snap! You will receive one digital file in the SVG format. You must have a program that opens this format in order to use this file. This file contains the outline of the stamped images ONLY. After purchase, a link to a zip file will be e-mailed to you. �Download links expire one week after purchase.